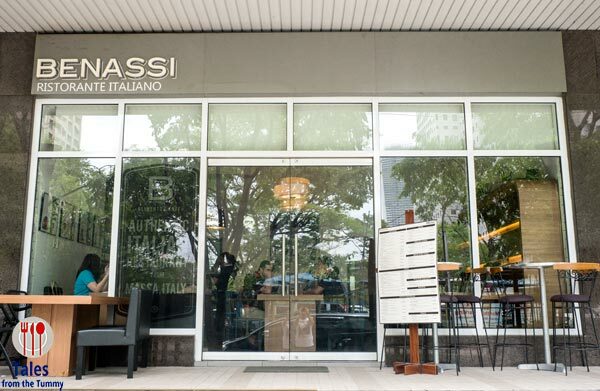 Benassi Ristorante Italiano is a small restaurant in the Ortigas area that serves home cooked Italian food. 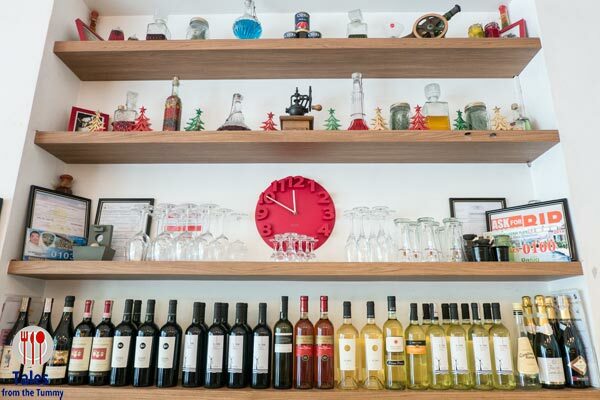 The place is owned by Filipino-Italian Katia Benassi-De Guzman and serves her family’s recipes from Massa, Italy. Located beside Tully’s Coffee on Exchange Road, you might easily miss it amidst the scaffolding and construction around it. I’ve actually passed by the place many times but paid it no mind, honestly the facade does not herald anything special. Good thing, I got an invite from Katia to sample their dishes together with a couple of friends. Parking is quite easy with many available slots in the building’s basement. The space is quite small but the high ceiling with knick knacks filling up the shelves behind coffee prep area. There’s also a very nice mural at the center of the restaurant that you will not miss upon entering Benassi. I was surprised the place quickly filled up as the office workers were let out for lunch. We started our lunch with complimentary bread, which they baked fresh on the premises. Perfect way to keep the hunger at bay after completing your order. After a while, the dishes started coming out. Ravioli con Funghi Porcini (P350). The 6 pieces of ravioli covered in a cream sauce was fairly ordinary looking. Appearances are sometimes deceiving as is the case here as a bite of the squares release an explosion of earthy flavors and sweet ricotta cheese. Each piece is packed with filling and I imagine finishing an order would be quite filling already. Risotto Ai Fruitti di Mare (P380). 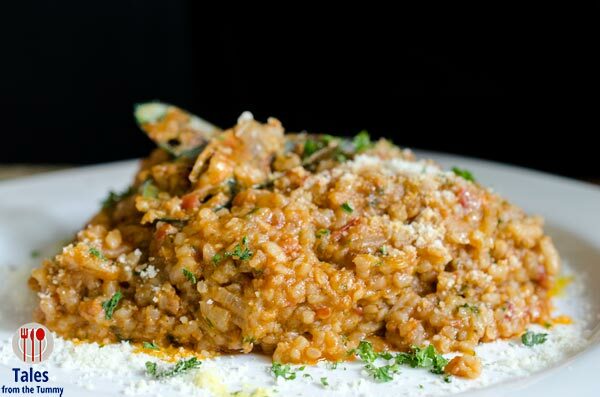 I’ve been disappointed many times ordering risotto, either its not cooked well or the serving sizes are miniscule. 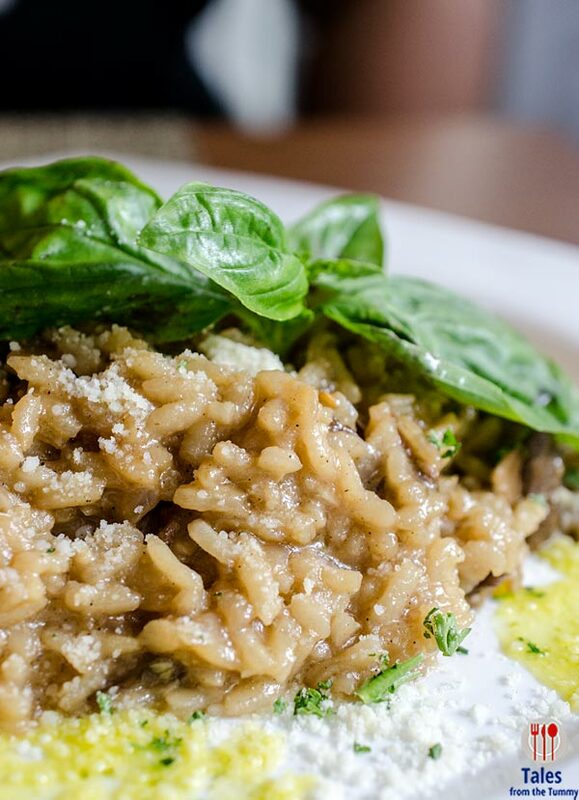 Benassi kicks both problems away, the servings are very generous and the risotto is flavorful and cooked to a perfect al dente bite. Tangy tomatoes serve as the base while squid, mussels and shrimp contribute their umami flavors for a highly enjoyable though unsurprising dish. Risotto con Funghi Porcini (P370). 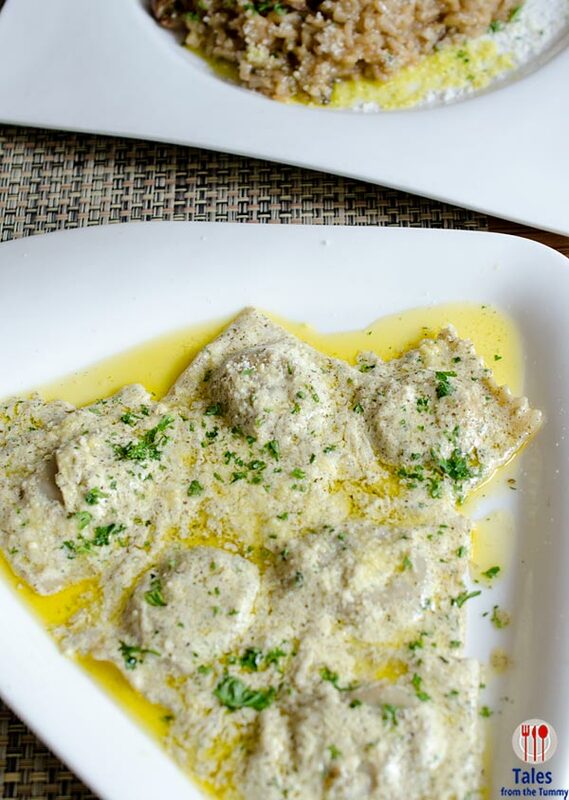 We paid this dish little attention at first because of its similarity of the ingredients to the ravioli dish before.Once we got a taste of it, the whole plate was quickly wiped out. This easily trumps the seafood risotto and is one of my must orders at Benassi. Proscuitto al Ruccola (P490). Benassi has a brick oven to cook all their pizzas to ensure the quality that comes out of their kitchens. 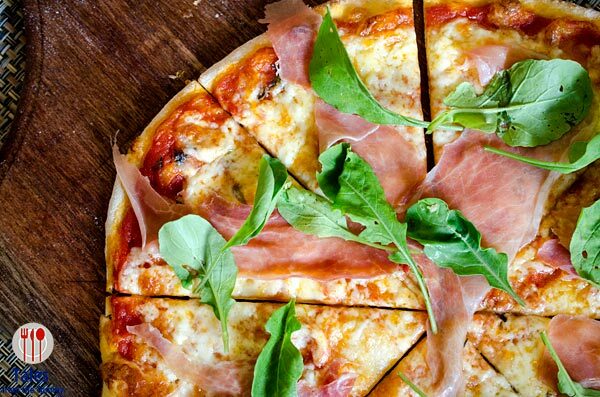 The ingredients are simple, parma ham, arugula and mozzarella cheese, but this simplicity does not make it any less delicious. 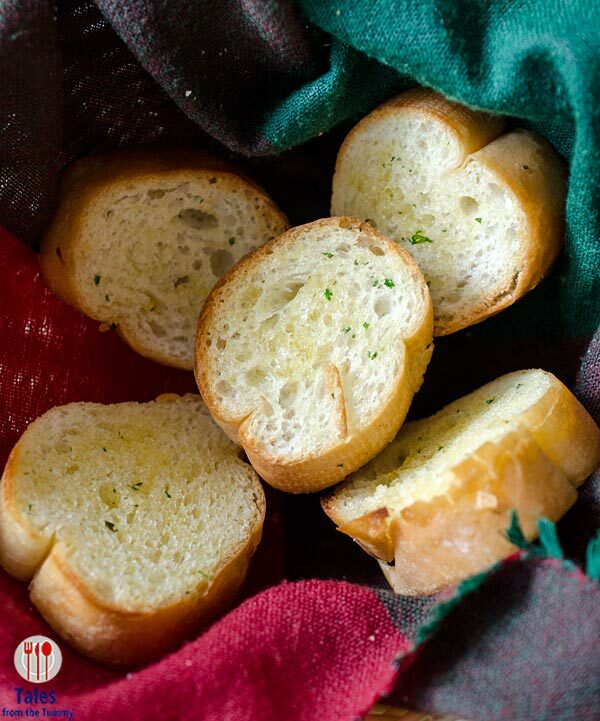 There’s a nice crispy and chewy dough that holds the ingredients well, no sagging in the middle. Peppery arugula yields to smoky parma ham with stringy mozzarella cheese holding everything together. Fagioli al Uccelletto (P350). This is one dish unique to the Benassi family, sausages simmered in a tomato and borlotti bean stew. 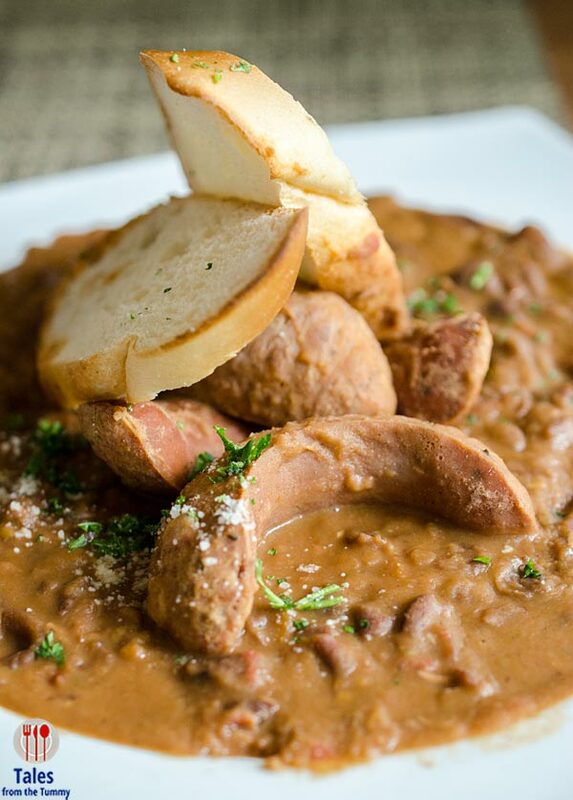 The beans not only gives the stew its hearty flavor but also its brownish red color. The sausages are on the spicy side but the sauce tempers it nicely. Served with bread on the side but rice would definitely be a better match for me. Mascarpone Cake (P220). A tiramisu cake that comes from the Benassi’s hometown of Massa, Italy. Big enough to be shared by 2-3 people. 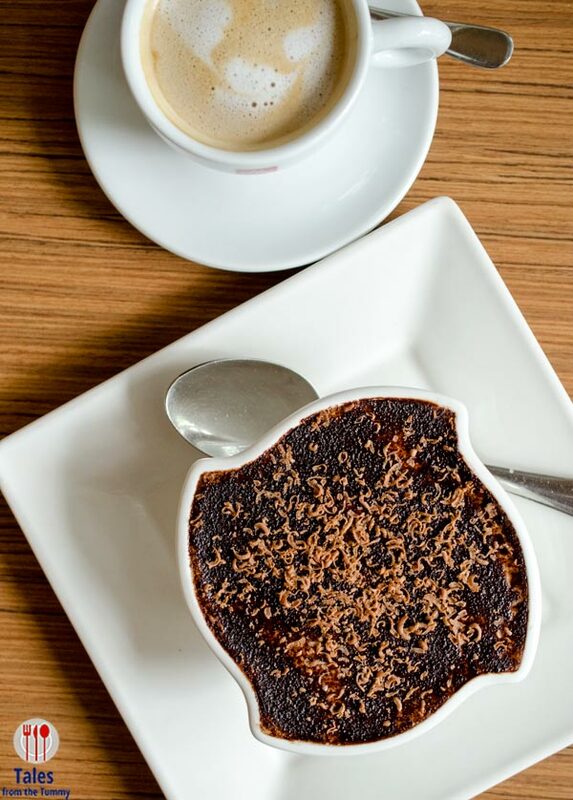 Pair it with their array of coffee drinks. Benassi Ristorante Italiano is a hidden gem waiting to be discovered in the Ortigas Business district, serving Italian home cooking. Definitely give them a try. Order the pizza, risotto and the sausage and bean stew. they also have business lunch sets that had really big servings.